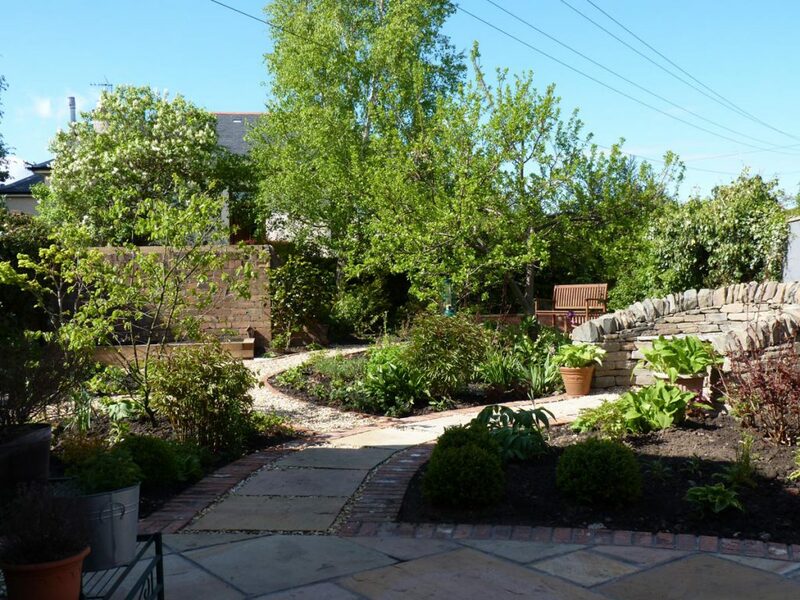 Our clients were keen gardeners but needed a re-design of their garden after their garage was removed. They already had some lovely mature planting and a small pond but were looking for a more cohesive space to sit out and enjoy their retreat in the city. 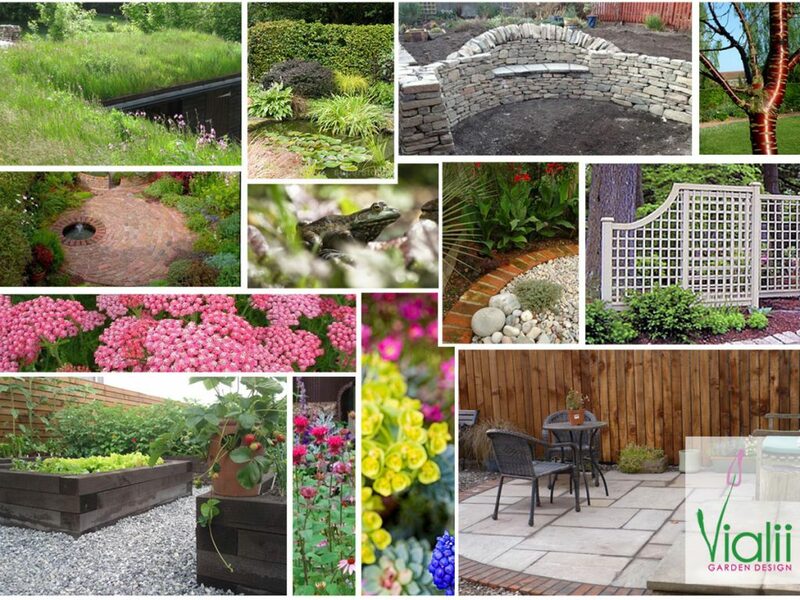 "The new garden is a perfect place to relax with lots of lovely seating areas. It is so peaceful - you would never know you were in the heart of the city." 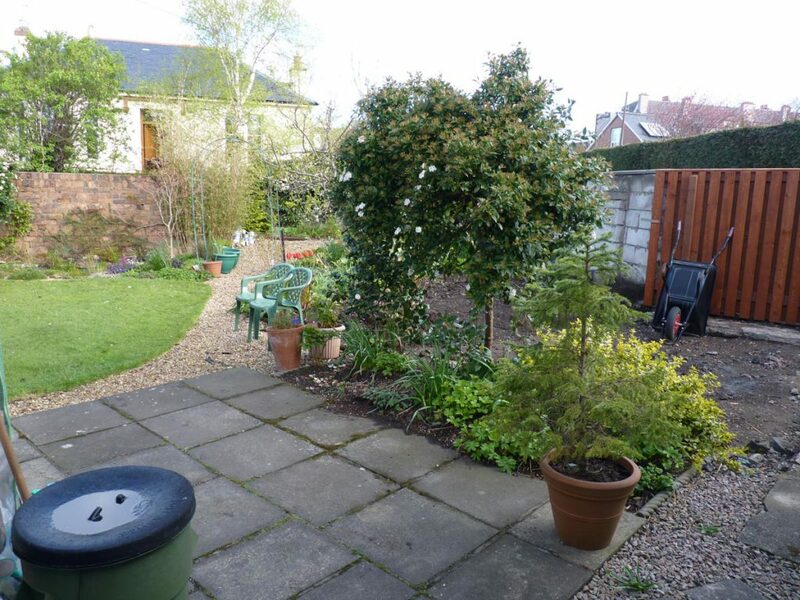 The new design created journeys and various interesting areas to sit in the garden. 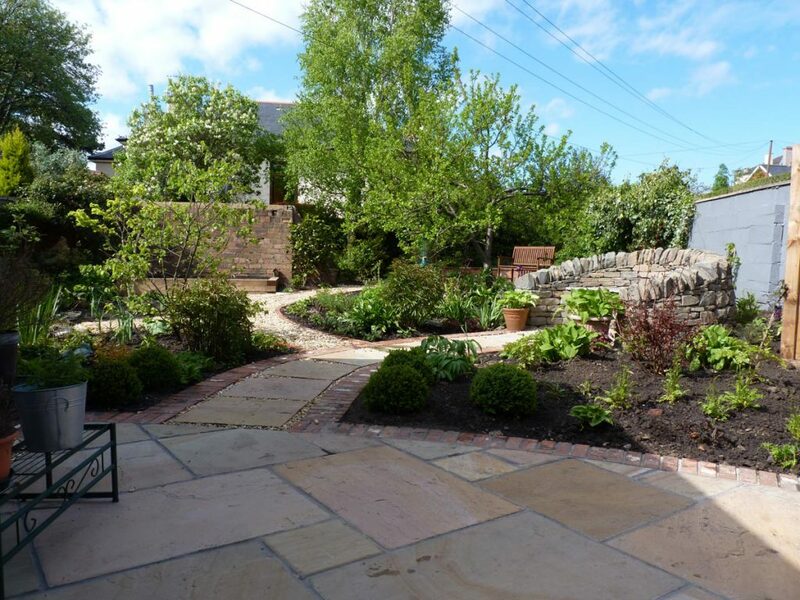 At the back of the house a new sandstone patio was created in a warm colour and edged in vintage-style bricks, providing a beautiful area to sit out as well as a suitable entrance to the new garden. 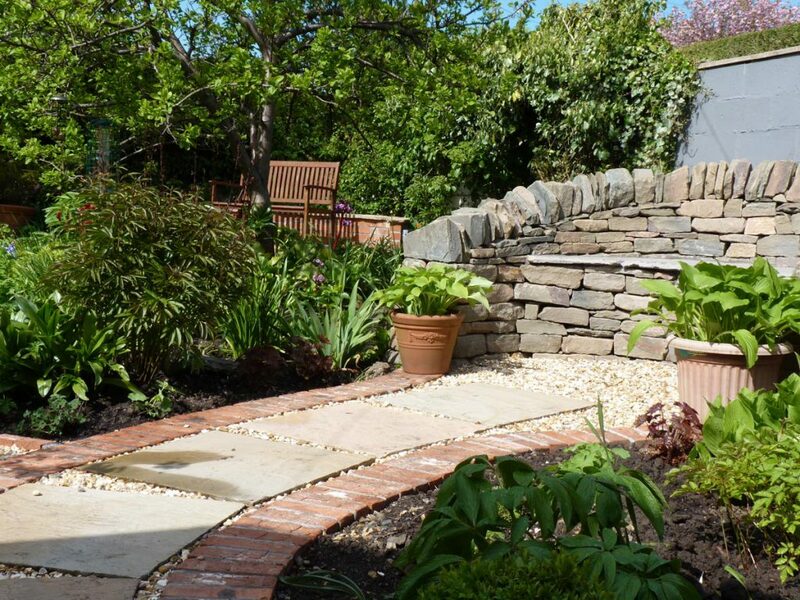 A new curving path created a “journey” around the garden, making you want to explore what is around the corner. 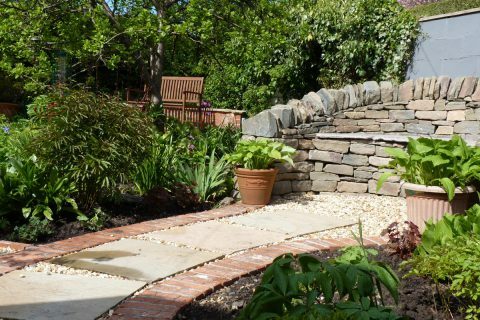 From the main path, the journey takes you to the next sitting area, a beautiful bespoke dry-stane feature. Hand-made by a local artisan, this is a piece of sculpture as well as a seating area. To the other side of the path a larger pond was created and is already home to a wide variety of wildlife, enjoying this oasis in the city. 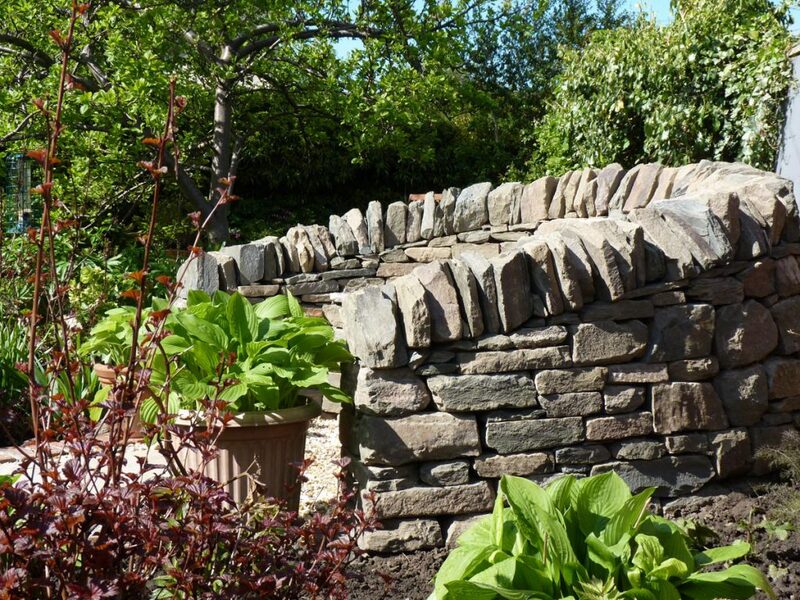 The path continues alongside beautiful borders to a raised veg bed. Beyond this is an Anderson Shelter, a wonderful piece of history in the garden, as well as a useful storage space. The shelter’s roof has been sown with meadowgrass and will soon provide a living roof and will attract even more wildlife. 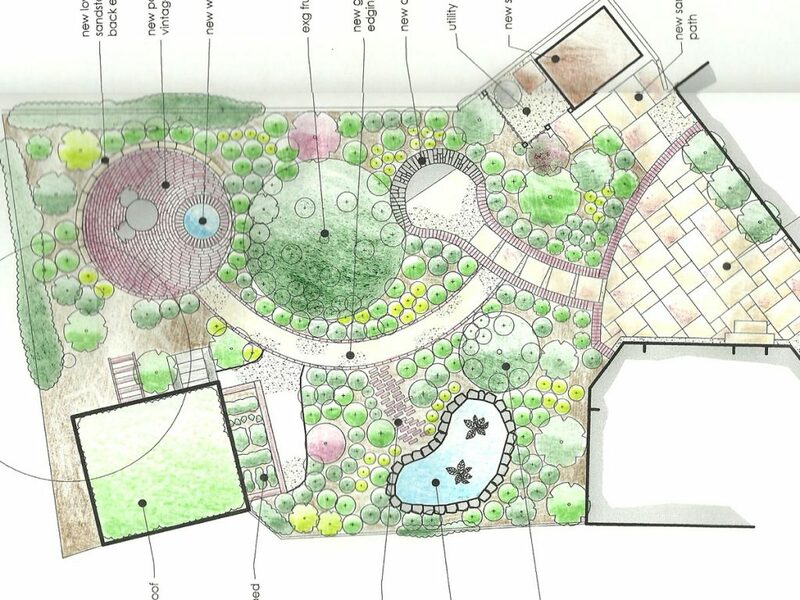 As the path curves and reaches the top of the garden the final seating area is revealed. 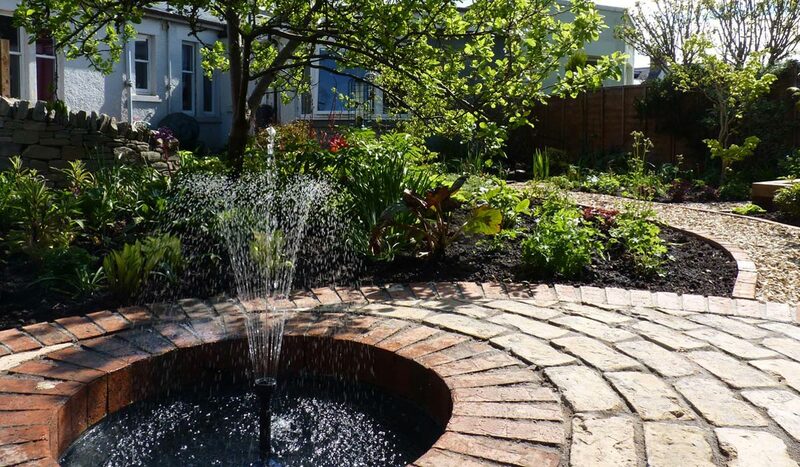 A brick patio has been laid in a spiralling pattern with a lovely water feature built into it. The gentle spurt of water creates a lovely relaxing noise. You would never know you were in the middle of the city! The existing, mature planting was kept or moved and complemented with new shrubs and herbaceous. From amlanchier “Ballerina”, photinia “Red Robin” and rhododendron “Pink Cherub” through to astrantia, lupins, delphinium and hosta, there will be a riot of colour through the summer balanced with year round interest. Around and in the pond irises and water lillies create additional interest.